Sherry FitzGerald are delighted to bring to the market this spacious and high-quality ground floor one bed apartment located in the exclusive development of Thornberry in Barna which was built by Nexus Homes in 2005 and architecturally designed by Sean Dockery Architects. Internally this property offers contemporary modern living. 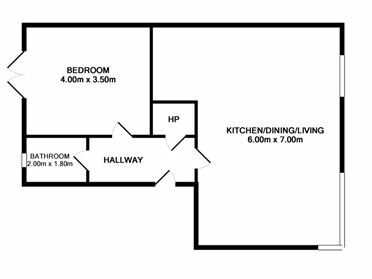 The accommodation comprises an entrance hall with storage space, leading to a large spacious open plan kitchen / living / dining room area, one bedroom with ample built in units and a bathroom fitted to a high quality standard with polished porcelain floor tiles throughout. 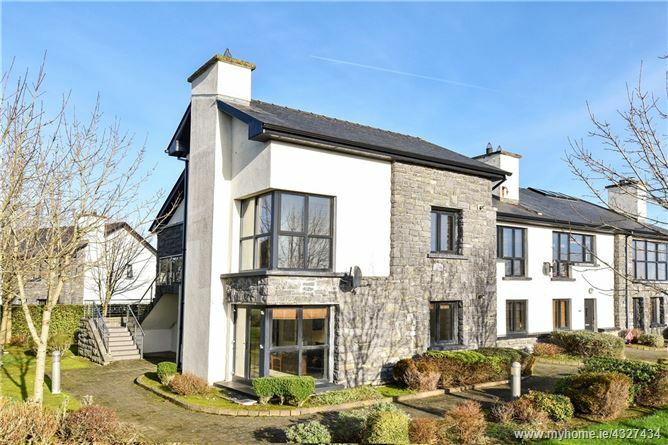 Thornberry is located in the seaside village of Barna on the shores of Galway Bay. All amenities are close to hand with Galway City only 10 kms away. Thornberry also has the benefit of close proximity to Barna tennis courts and playground. Overall this home is in immaculate condition and viewing is highly advised to truly appreciated the quality of design and finish. Entrance Hall Polished porcelain floor tiles, storage space, spot lights. Kitchen / living / dining room Polished porcelain floor tiles, high quality fitted kitchen, integrated hob, oven, dishwasher and fridge, feature gas fire in living area, dual aspect windows. 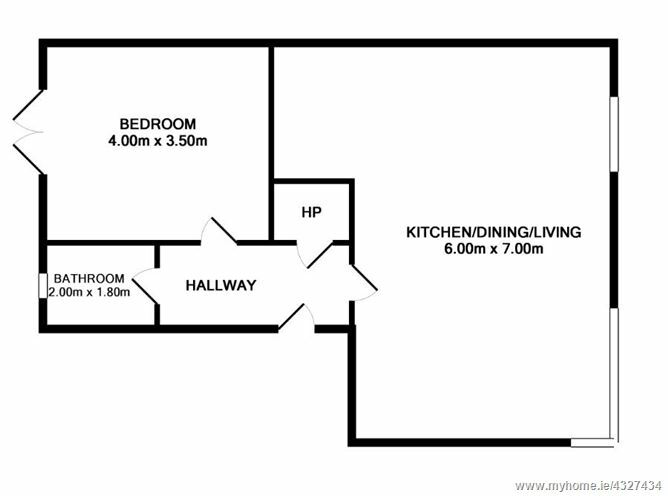 Bathroom Fully tiled, whb, wc, bath with mixer shower, heated towel rail, side aspect window. Bedroom Double room, polished porcelain floor tiles, built in wardrobes, side aspect window and door.